A couple of Saturday’s ago – Scotty the mechanic and I met at the machinists. 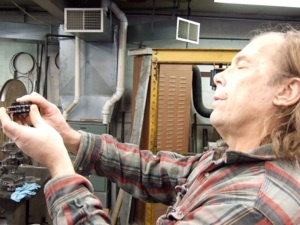 Scotty came to finish up some loose machining and to pick up the remaining parts. All in all, it was a good day – as the parts are all now down with Scotty and work on the motor can go ahead. 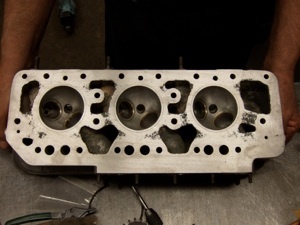 Scotty has started the engine assembly, and has the crank, cam and pistons in the block. 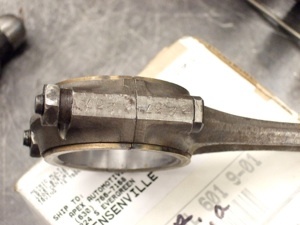 Some 12 hours of fitting con rods (and babbitt) to the crank, with some reference to radiused journals…. But all is now straight and aligned true, so it should fit. 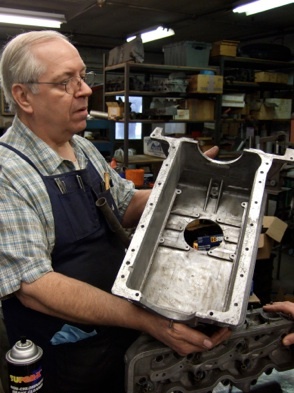 Bill (the machinist) is showing off the oil pan – but the real work was elsewhere. And carefully done, very thoughtfully. Hard to find such work. 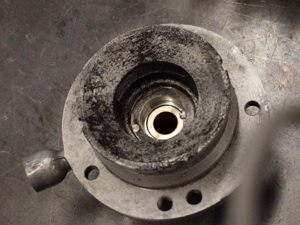 left – water pump, reworked for modern seal at front. 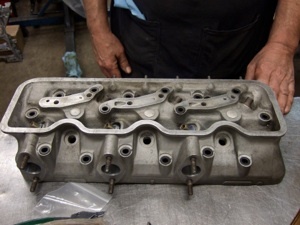 right above – Scotty checking out the timing chain tensioner and its shaft that runs in needle bearings. 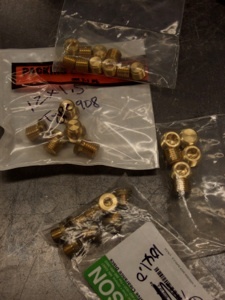 right – replacement brass plugs for the oil journals in the block. Similar to Lampredi engines. 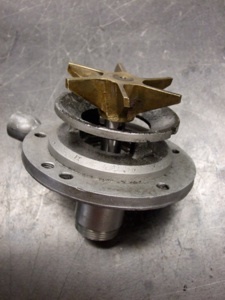 above – refinished head. Surfaces are good and clean. 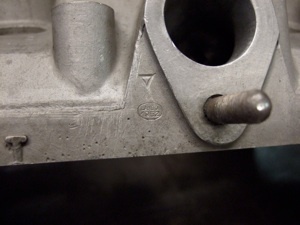 left – steel inserts at head studs, for better bearing. below – Lancia date stamps on the head – on the left, Feb. 19, 1952. On the right, just 1952.
left – numbered con rods, with babbitted journals. Note how slender the neck is on the early rods. 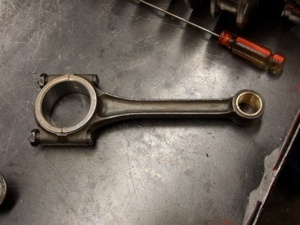 right – the rod – with new bushing for slightly different wrist pin. 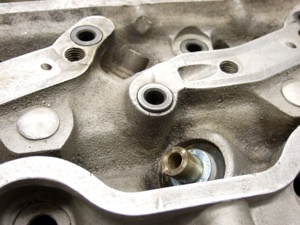 Overall, the weight of the new pistons, rings, wrist pin and conrods were very close to the original, so rebalancing of the crank was not needed. Too often the cranks are messed up with rebalancing, and leaving well enough alone was the wiser course.